A bequest is a wonderful way to support Parenting Journey posthumously. Include a bequest to Parenting Journey in your will or trust. Many gift plans can provide significant tax and financial advantages to you and your loved ones. Name Parenting Journey as a beneficiary of your IRA, 401(k), or other qualified plan. Designate Parenting Journey to receive all or a portion of the balance through your plan administrator. The balance in your plan passes to Parenting Journey after your death. You can revoke us as a beneficiary if your needs change. Please consult your legal representative or financial consultant to determine the implications of your prospective gift. 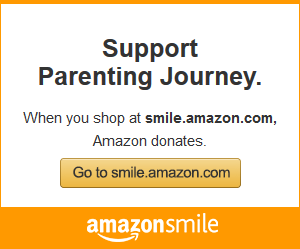 Parenting Journey accepts donations of commonly held, publicly traded stocks. It’s giving made easy. The easiest way to donate stock or other securities to Parenting Journey is through an electronic transfer (DTC) from your brokerage account. Please remind your broker to include your name, contact information and special instructions for the transfer. Many employers sponsor matching gift programs to charitable organizations. Your employer may match or even double your initial gift. Each company has its own guidelines for employees, spouses, retirees, and widows/widowers. Complete and submit the form to Parenting Journey along with your gift. Parenting Journey will verify the completed form and return it to the company. The company issues a matching gift contribution to Parenting Journey. Many matching gift companies require that participants provide the Federal Tax ID number of the recipient organization when applying for a match. The Federal Tax ID for the Parenting Journey is 04-2771011. Parenting Journey has a 30-year history of building stronger, more resilient families through a variety of programs developed to serve parents and caregivers, and human services professionals. To date, our programs have helped over 52,000 parents—to the benefit of more than 131,000 children. We are deeply grateful to the many service agencies and other organizations that have helped us along our journey. No matter what type of business you’re in, your organization can play a vital role in helping Parenting Journey fulfill its mission of strengthening families by nurturing and inspiring parents and caregivers. By sponsoring Parenting Journey, you are making an investment in programs that have been proven to build stronger and more stable families. Together, we can build on that success. Your gift will help Parenting Journey provide positive, curriculum-based programs that give parents the skills, confidence, and resources they need to become more effective parents and build stronger families. For more information about ways to donate, contact Duncan Remage-Healey, Managing Director of Institutional Advancement, by phone at (617) 628-8815 ext. 234 or by emailing him directly.